Experience the agility, speed and energy of the Australian Stock Horse! The Australian Stock horse has long been considered the finest and most versatile horse in the world. The horse was first bred in the early 1800s, when breeders from Australia favored the thoroughbred horses of America and Europe. They imported them in large numbers to breed with local Australian mares, creating a horse that was as useful as it was elegant. In the few hundred years since, the Australian Stock Horse has fulfilled a variety of roles. Most notably among these was when over 100,000 of these horses served in the cavalry during the First World War. During this historic conflict, these powerful beasts were often credited with impressive feats of both strength and reliability in battle. 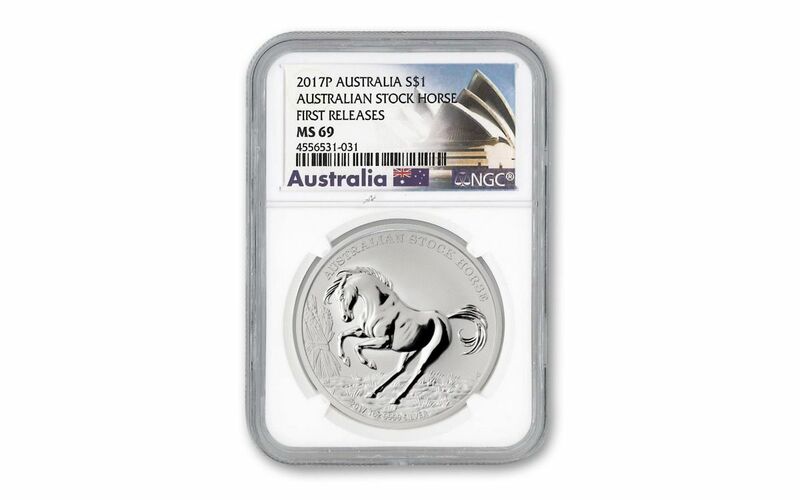 Now, in 2017, the Perth Mint has chosen to feature this magnificent creature on the reverse of their one-ounce Silver Stock Horse coin! 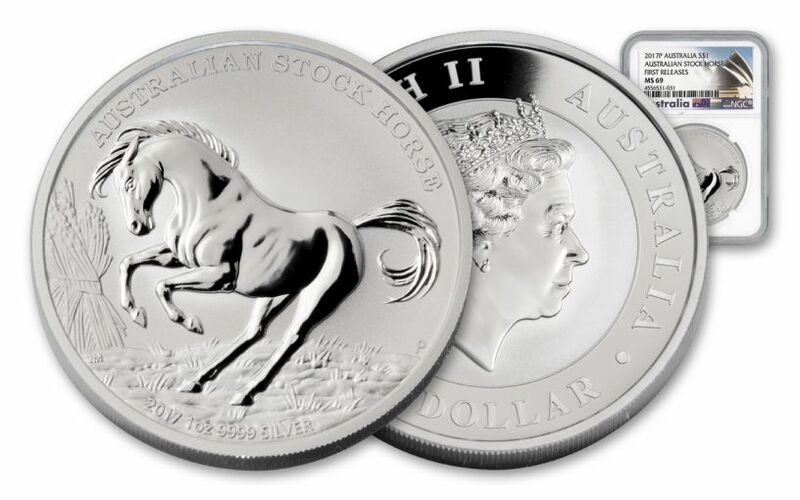 FEATURING THE FAMOUS AUSTRALIAN STOCK HORSE -- The reverse of this coin features the energetic design of one of the world’s most versatile horse breeds -- the Australian Stock Horse. ONE TROY OUNCE OF 99.99% PURE SILVER -- Struck in 2017, this coin has a weight of one Troy ounce and a metal purity of 99.99% pure silver. 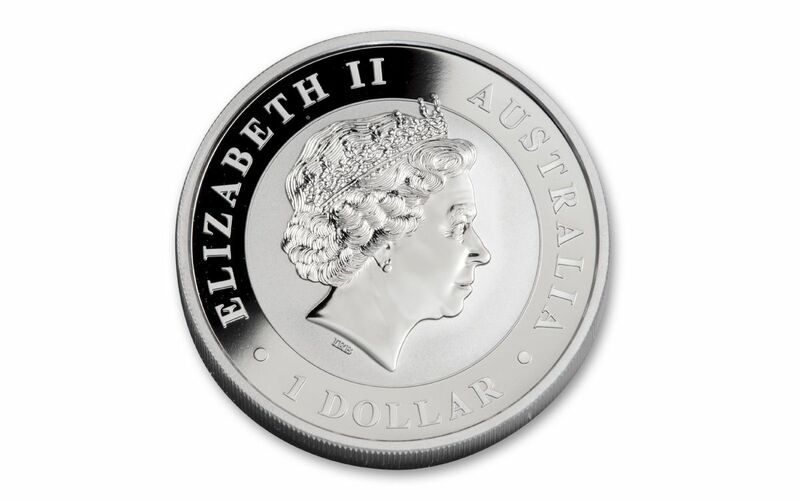 AUSTRALIAN LEGAL TENDER -- This coin was minted under the Australian Currency Act of 1965 and has a legal tender value of $1 Australian dollar. NEAR-PERFECT MINT STATE-69 CONDITION -- This coin was graded by Numismatic Guaranty Corporation (NGC) and certified as near-flawless Mint State-69 (MS69). This grade ensures a well-struck, visually appealing coin that is without any noticeable defects. Your coin will also be certified First Releases (FR) by NGC, meaning that it was among the first struck by the mint and was verified within the first 30 days of issue. 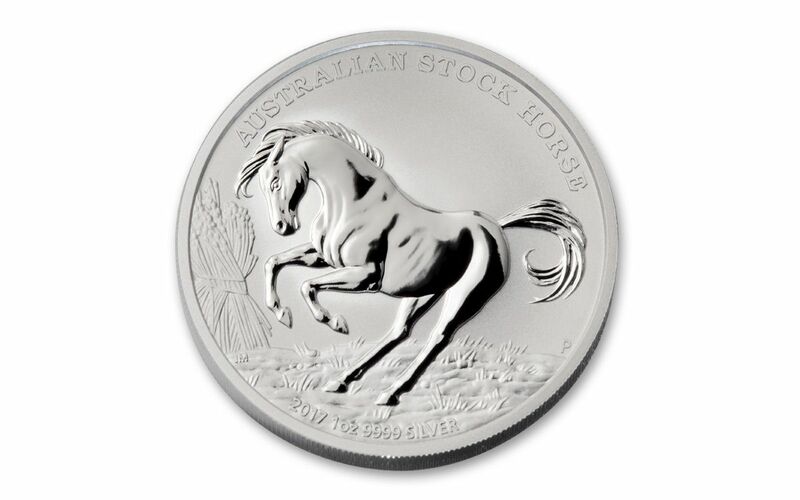 LIMITED ISSUE -- Only 10,000 of these 2017 Silver Stock Horse coins will be struck for collectors worldwide. This 2017 Silver Australian Stock Horse coin features impressive metal content and a widely celebrated design of the majestic Stock Horse. All these qualities coupled with a limited mintage of 10,000 and a grade of Mint State-69 ensures a highly valued and collectable coin. Don’t miss adding this beauty to your collection!